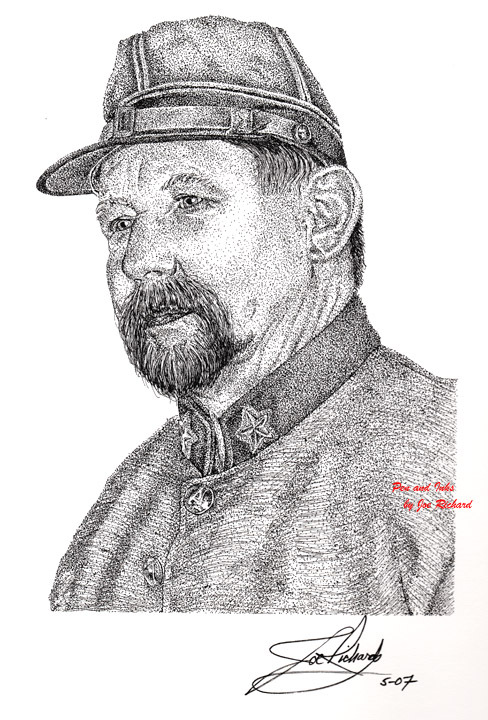 "Major Dearing" was commissioned as a part of a series of pen and ink drawings. 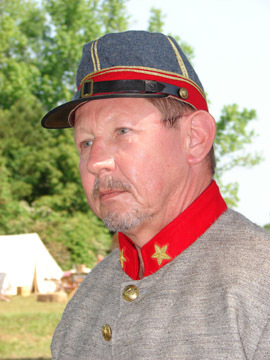 This pen and ink is a rendering of one of a series of images taken by this artist at a living history event in Jackson Crossroads, Louisiana earlier this year. The work took 10 hours to complete and measures about 8 1/2 x 11 inches on an 11 x 14 background. this artwork. This photo was taken by this artist on April 29, 2007.